I had a USB with photos and videos of my son from when he was a baby. (He is 8 now.) While it was plugged into my laptop, I somehow bumped the USB, and it gave me an error warning saying I didn't eject properly. when I tried to go back into the drive, it didn't have any photos or videos left! My heart sank and I felt so sick, as this was the only thumb drive I have of photos of him at that age. I really don't know much about computers and if there were any other way of finding those photos and videos…But I found this DiskDrill and figured it was my only hope. Thank God, because it pulled all my videos and pictures!!!! 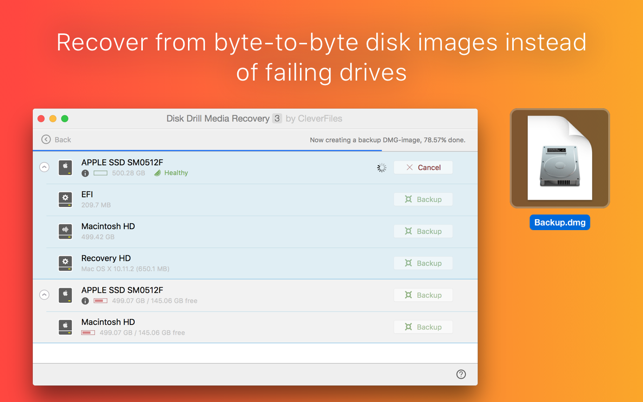 I spent hours trying to Google how to recover photos and trying to do it myself… just save yourself your day , and get this DiskDrill. It really didn't even take that long. And it is easy to use and understand! And yes, I have learned my lesson. From now on I will backup my photos/videos and also put them onto CD's. I won't be making that mistake ever again. 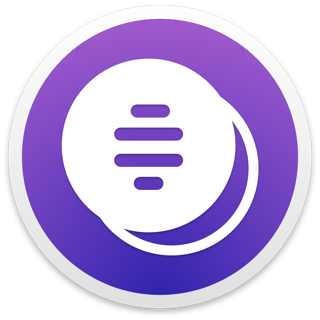 The only app that recovered all my music files with full tags! The unthinkable happened . . . Formatting what I thought was my 32GB thumb-drive to put in my car stereo, I actually formatted my 5TB HDD! I was sick, it felt like a bad dream, 5TB!!! My music, pictures, videos all gone! But the music, that was hard. I had spent months ripping my prized CD collection to that disk. 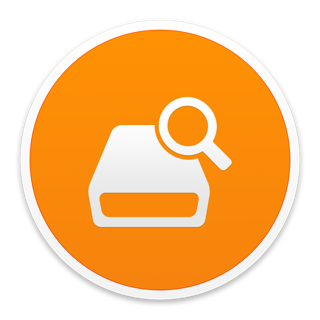 I tried some other highly advertised/ reviewed competitors, they got back many of my pictures, videos and music but as a big, nearly random stacks of files! It would be an impossible task to sort through them all. Trying these other programs was no easy feat either, they ran from 11 to 34 HOURS each, 5TB is a lot of data! Then I tried DiskDrill. . . it pulled back, as near as I can tell, all my files. And not just the music but the complete file tags and coverart were intact! It made relatively quick work of reorganizing my music. Thank you Disk Drill! I practice safe computing… most of the time. However, every once in a while things get a little crazy and accidents happen. In my case, I was pushing the limits of running a file server at a client’s office on my laptop while switching networks with too many client connections on a drive partition that just couldn’t handle the load. Fortunately, most of my data is backed up in the cloud, so my priority was to get up and runnnng ASAP, however, the partition wasn't even being recognized. 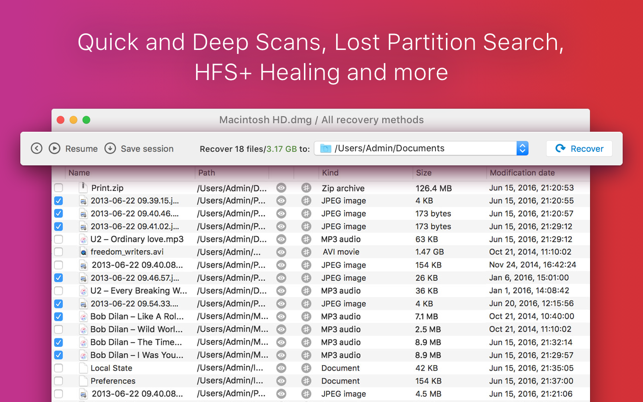 So I used the scan for HFS+ volumes and it found and rebuilt the partition. Since I only lost a few days of data, I opted to reformat my entire drive and let the cloud re-load my data. 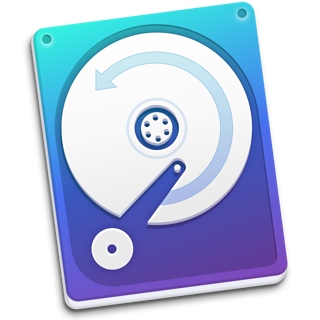 I was really pleased that Disk Drill saved me the hassle of having to buy another SSD as it wasn’t even recognizable until I made a Disk Drill bootable external drive and accessed my internal drive in target mode. 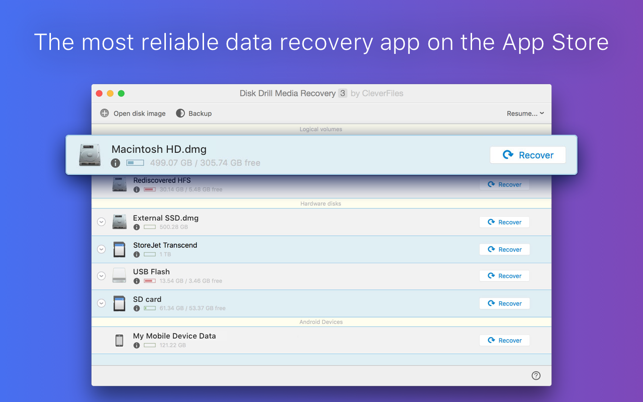 I’m going to used the Recovery Vault going forward… I hope I never need it but better safe than sorry. I was very pleased with the responses I got from customer service. 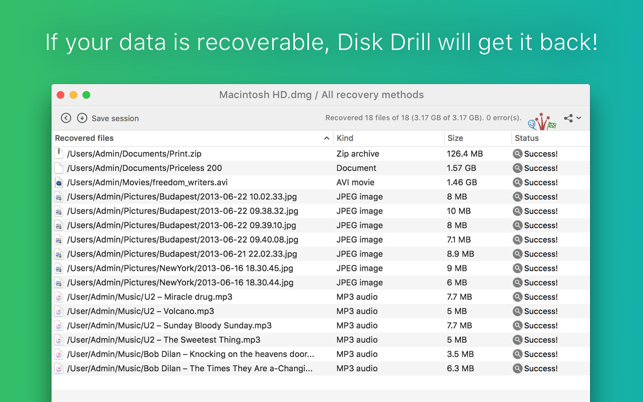 You can’t call them, so don’t expect instant help, but I sent an e-mail and they responded within a few hours… overall I think Disk Drill Media Recovery is a very good value; it is a reasonably priced, powerful recovery product that works.